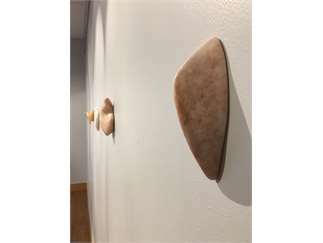 Sculptures created by the celebrated South Windham, Maine artist Anne Alexander, will be on display from now until May 12, 2019 at Husson University’s Robert E. White Gallery in Peabody Hall on its Bangor, Maine campus. 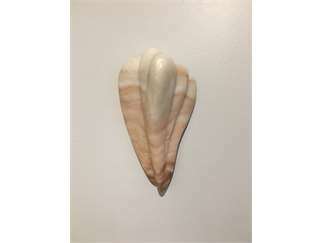 Alexander’s pieces are carved out of clay, wood and stone, including alabaster and soapstone. Her expressions strive to please the senses as they touch people on an emotional level. Anne Alexander lives and makes sculpture in the small, historical village of South Windham, Maine on the Presumpscot River. Her work ranges from small hand-held pieces, shown in galleries, to human size pieces, which are displayed in outdoor site sculpture shows. She works in materials that come from the earth; clay, wood, and stone. Her imagery is derived from small biological specimens. Alexander has attended art residencies at Brush Creek, Wyoming; the Virginia Center for Creative Arts in Virginia and France; the Vermont Studio Center; and Altos-de Chavon in The Dominican Republic. She has received two Pollack-Krasner Foundation Grants, two Good Idea Grants from the Maine Arts Commission, and a Fulbright Senior Scholar Grant to study the art of the Taino Indians in the Dominican Republic. 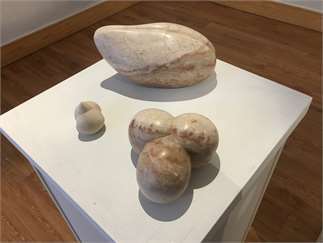 Here in Maine, Alexander has had several solo exhibits of her sculpture at The Caldbeck Gallery in Rockland. 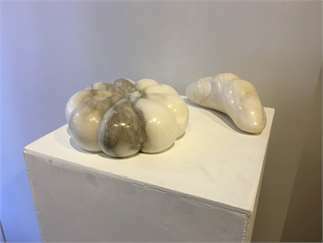 She also has work on display at The Yarmouth Frame Gallery and exhibits her exterior works at June LaCombe’s sculpture shows. Artists with connections to Maine who work in every possible medium including watercolors, oil paintings, pastels, sculptures, acrylics, photographs and etchings, are featured at the Robert E. White Gallery. With a new show approximately every eight weeks, the gallery provides students with a glimpse into how New England artists express themselves, giving them added insight into the place where they've chosen to go to school. The gallery was established in 1992 and named for, and endowed by, Husson alumni and former Board of Trustees Chair Robert E. White '65. The Robert E. White Gallery is free and open to the public, Monday through Friday, from 8:30 a.m. to 4:30 p.m. It is located in Peabody Hall on the campus of Husson University at One College Circle, Bangor, Maine. For additional information, contact Gallery Director Kathi Smith by phone 207-941-7004 or by email at smithk@husson.edu. For more than 120 years, Husson University has prepared future leaders to handle the challenges of tomorrow through innovative undergraduate and graduate degrees. With a commitment to delivering affordable classroom, online and experiential learning opportunities, Husson University has come to represent superior value in higher education. Our Bangor campus and off-campus satellite education centers in Southern Maine, Wells, and Northern Maine provide advanced knowledge in business; health and education; pharmacy studies; science and humanities; as well as communication. In addition, Husson University has a robust adult learning program. According to a recent analysis by U.S. News & World Report, Husson University is the most affordable private college in New England. For more information about educational opportunities that can lead to personal and professional success, visit Husson.edu.